Giuseppe Maria de Peppo, PhD, a Postdoctoral Research Fellow at the NYSCF Laboratory, was honored by his native Italian province of Puglia with the Argos Hippium Prize for his scientific achievements. This prestigious award, given annually, commends the professional accomplishments of about ten leaders from the sciences, arts, and letters. 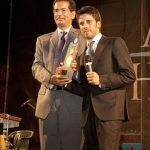 The award ceremony, held at the Basillica of Santa Maria de Siponto in Italy, garners both national and international attention. 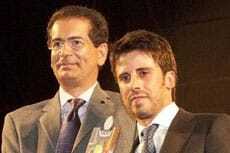 De Peppo was the youngest candidate to receive the Prize this year and one of the youngest in the twenty-five year history of the award.